What if you had the ability to send your patients to the beach to rehab an injury? Or, what if your psychology patient could face his or her phobia in a controlled environment. Maybe, you’re working with a younger child and you want to reward all their hard work with a trip to outer space? Well, with virtual reality, the possibilities are endless when you’re working with patients. While it’s still in its infancy, VR therapy is slowly making its way into many healthcare facilities. With its flexibility and immersive experience, many therapists and health professionals are using this new technology to help patients every day. Below are just a few of the great benefits of VR therapy. Let’s get virtual! It’s no secret that physical therapy can become pretty boring for your patients. Whether it’s doing the same few exercises and stretches at home or having to come all the way into your office to go over the same material once again, PT can become pretty monotonous. What if there was a way for your patients to rehab that pesky knee injury while climbing a mountain? Maybe your patient is a football fan and wants to play catch in an NFL stadium. With the help of virtual reality, your patients will be able to experience an endless amount of settings. One of the biggest benefits of VR therapy is the ability for doctors to track the movements of a patient. The system can then relay the information to a program that can help track your patient’s progress. Look for more and more physical and occupational therapy practices begin to use this to ensure that patients are getting the best possible care. With millions of people suffering from pain every single day, sometimes they want an alternative to the prescription pills that might accompany his or her rehab. Fortunately, virtual reality has been shown to reduce chronic and acute pain. 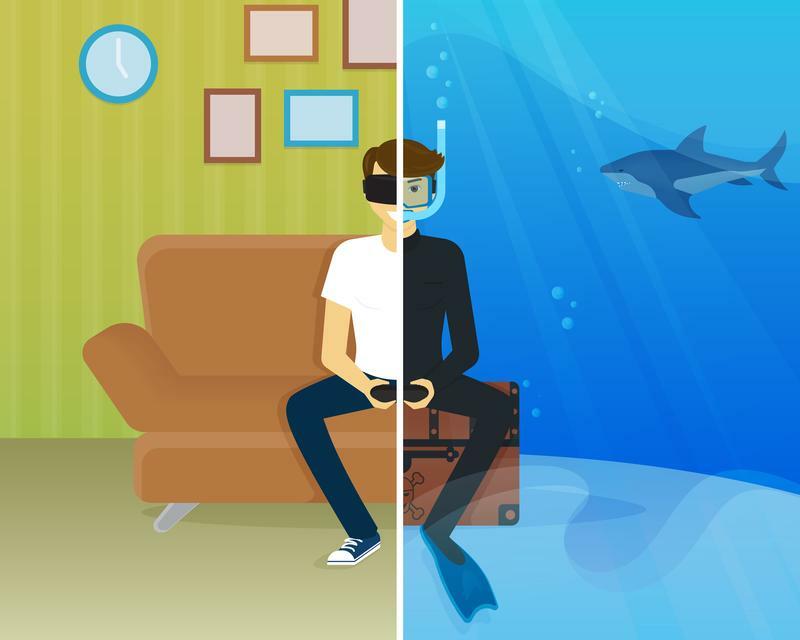 Studies have shown that when a person is immersed in virtual reality, pain receptors are less active. This ability to reduce pain in patients has quickly become one of the biggest benefits of VR therapy. We’ve even seen success with amputee patients who are dealing with phantom pains. If this technology means that there will be fewer opioids consumed than we’re all for it! VR isn’t just for your patients though. In fact, one of the bigger benefits of VR therapy is the ability for health facilities to use it as a training tool. VR has already been implemented into many practices. It gives health professionals the opportunity to interact with patients in a realistic setting and has become a vital teaching tool for many healthcare schools. Being immersed in a realistic simulation of a procedure and practicing the steps and techniques is far better training than watching a video, or jostling with other students to watch a demonstration. Another one of the benefits of VR therapy is the ability to help manage stress in your patients. There have been many facilities that are using VR to help combat stress in cancer patients. For one, patients immersed in virtual reality environments during chemo has shown to have a truly beneficial impression, taking them out of the stressful medical facility and into something a little more relaxing. Many therapists have found many benefits of VR therapy when it comes to treating patients. Many therapists are using VR to treat patients who are dealing with fears and phobias. Immersion therapy isn’t always recommended, but it certainly works for many. This type of therapy will surround a patient with what they fear most. The idea is that eventually, they’ll come to realize that the fear can be conquered when faced head-on. Are you using VR therapy in your facility? Leave a comment below!